As a woman having arrived at midlife or beyond you should by now have reached a stage where the demands and routines of the past couple of decades have shifted into a new space and you’ve actually found some time to stop and think about what it is you want to do now. For many women it’s only when you’ve lived one type of life that another life starts calling. You probably first started to feel this some time ago by experiencing what many describe as a “niggle” that keeps getting into your head and won’t leave you alone. Then it shows itself again when you see a business or another woman doing something you’re good at and you begin to say to yourself “I could do that” but you put it to the back of your mind and save it for another day because you’ve got something else you should be doing or you’re afraid to explore this feeling any further. More time passes and here it comes again that same feeling, that knowing you were meant for something else and so it goes on until eventually instead of saying I could do that you say to yourself I want to do that! Only you know what “that” is. It comes in many forms and can be described as your gift or calling but one thing is for sure…… it’s there and it’s burning a hole in your soul because you know other people will benefit from your gift if only they knew about it. 1. You’ll take the easy road and ignore all that is possible for you because without any obvious support right now you’re afraid: What if people laugh at me or criticize my goals and dreams. What if they don’t get it and can’t see what I can see? It’s common to take road #1 because it’s easier: here you can stay well inside your comfort zone, keep doing what you’re doing and getting the same old results. Taking this road will also keep you small and rob you of what you already know deep down, awaits you. This road is the thief that will steal your creativity and prevent you from showing yourself to the world as a unique woman who has something special to share with those who want it. 2. On the other hand you can take road #2: the road less travelled. And it’s less travelled for a reason. There are a lot of unknown’s on this road and it takes a brave woman to walk it. At times this can be a long and lonely road fraught with mistakes and setbacks. You’ll probably lose some friends as well as sleep on this road but the best thing about it is: this road leads to your freedom. Freedom from the ties that bind you to a life or job that no longer reflects the woman you’ve become over time. Of course freedom means different things to different people, there’s no right or wrong definition in this context. For me it means working how and when I want and taking time out to suit me. It means being available for opportunities that present themselves at short notice whether that’s a beach walk, an event or going on holiday several times a year. In my case it wasn’t just about money. To my family’s horror I walked away from a successful business in order to create a lifestyle business that could give me the freedom and flexibility I’d so desperately craved for years, so I do know what it takes to achieve this. I also know it’s doable, it doesn’t happen overnight and it requires action along with persistence, hard work and commitment. Now I’m not suggesting for one moment you walk away from your job without a plan. We all have responsibilities and I agree paying the bills is vital. We need food, shelter and clothing to survive but in order to thrive we need more than that? So what is it that makes a woman in her middle years or even later change careers? Well as you already know, your younger-self would never have sought out the things you may be seeking now nor would she have attached the same importance to the things you’re finding important now. Freedom would not have been on your radar back then neither would stillness or the beauty that surrounds you. Let’s face it you probably didn’t even have the time to lift your head up let alone look around you simply because you were busy. And if you were lucky and did have time, those things wouldn’t have appealed to you anyway, back in the day. Granted you may have a very full life right now but your priorities have changed and more importantly a new space that’s never been there before has now opened up “for you”. Changing careers doesn’t necessarily mean a quieter life or an easy life but what it does mean is the opportunity of a different life has presented itself and this is one to which you aspire. This life is unlikely to be governed by mortgage repayments or school fees and other such hefty commitment’s particularly if you’re a tail end baby boomer like me. Imagine yourself as an old woman sitting in your rocking chair on the front porch. Make yourself comfortable and take a good look back over your life. Look as far back as to where you are this very day, reading this article and wrestling with the decision; what should I do. What if I never ——————fill in your blank? Would my life be different? Do I regret not taking the chance? Will I always wonder what if? And while you’re sat there rocking your day away, does it feel like something is missing? Is there a sadness or a longing or even an unanswered calling? How do I feel about the choices I’ve made and the life I’ve lived? What do I wish I made time for? Who do I wish I’d made time for? What do I wish I had tried? It’s true that in this life, we are more disappointed by the things we didn’t do than those we did. So if you’re old self is feeling a sense of regret during this process, take heed. Use your answers as a road map to help you decide to go after something you really want and if that something is to answer your calling, which in turn may give you a whole different set of answers when you do the rocking chair test for real; then maybe that’s a sign that this is your time for change. Can you combine your career with your calling? Some of the best addiction specialists are former addicts. The best end -of -life practitioners have nursed a loved one up until their death. The best quilters spent years quilting as a hobby before turning that into business. In fact the best gardener I know has no formal training and fell into her calling after neighbours so admired her own garden they offered to pay her to do theirs. So she did and now she has a waiting list as long as her arm. And she only works three months a year while the rest of the time she travels the world with her husband. The point I make is; none of these women set out to make a career out of their calling it was something that evolved over time and probably couldn’t have happened to them any earlier than it did. 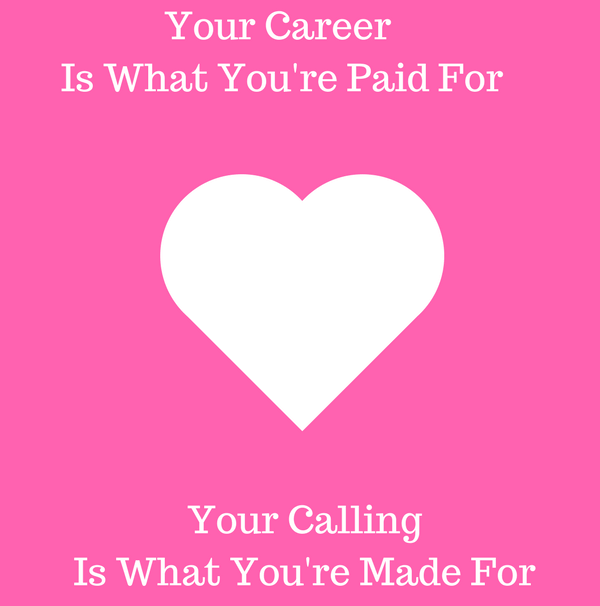 So can you combine your career with your calling? So far your journey has been paved with success and setbacks together with highs and lows. You’ve acquired experience, knowledge and expertise and probably some painfully gained wisdom along the way. Every woman I meet has a story to tell and somewhere in that story the seeds of her new business have already been sown and that’s probably true for you as well, so In order to get clarity around the calling you want to answer and the business you want to have, it’s best to take a deep dive into what led you here in the first place (apart from the rocking chair test). Steve Jobs explained it beautifully when he said…. You can’t connect the dots looking forward; you can only connect them looking backwards. So you have to trust that the dots will somehow connect in your future. You have to trust in something — your gut, destiny, life, karma, whatever. Unpacking your back story is a deep and informative process. It sets the scene for your onward lifestyle and business journey. It liberates as you unburden yourself of long held goals and desires and can be emotional as you dig deep into what’s been holding you back. It will surprise and delight as you get right down into the depths and discover what it is you really want. And it will excite you as at last you realise you’re on your way. I’m constantly reminded of how very lucky I am to do the work I do. For me it’s both humbling and rewarding when another woman shares her story with me on this level, I mean what’s not to like about working in this space? This is after all where the magic happens it’s where dreams are shared, your voice is heard and where eventually, at some point during the process something within you begins to shift towards what is really possible for you. When I first began to look at ways to answer my calling, my coach asked me; what I really enjoyed doing and how this might be incorporated into my business so I told him: I’m a hand holder and problem solver who loves listening to and talking with other women. Roll forward a few years and that’s what I do for a living, that’s my job. Admittedly it took a while but I got there in the end because my calling just kept on calling to the point I could no longer ignore it. 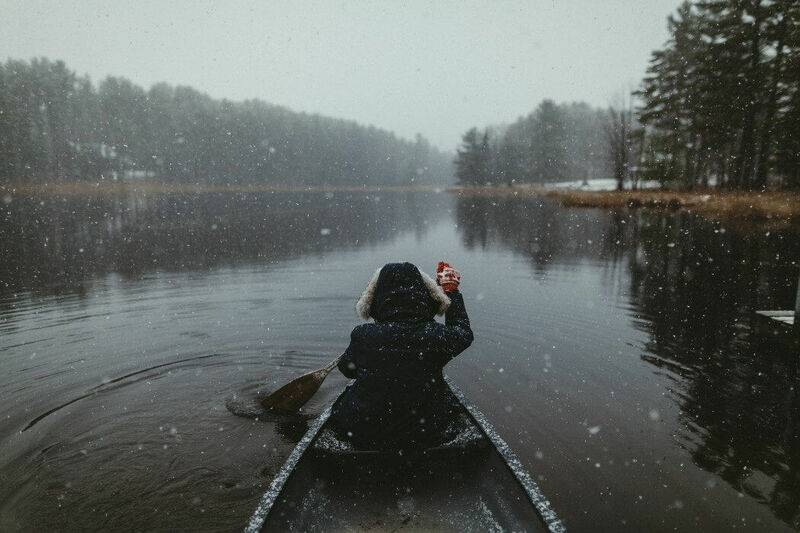 So the next time your calling comes calling, do at least take some time to listen. You may also like 5 Career Tips From An 81-Year-Old – Madeleine Kunin, From Empty Nest To Starting A Business – Inkpots Founder Gill Pawley and Building Confidence Through Changing Limiting Behaviours. 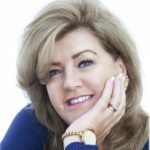 Dee Coxon is a Business Creation Coach for midlife women. A creative thinker and self-confessed hand holder she is a former hairdresser and beauty therapist who learned everything she knows about women within the four walls of her salon. With a constant niggle to follow a different calling, she eventually swapped her scissors for a laptop and entered the online world aged 50. In the same year she became a grandma, gained a Master’s degree and lost her mother. The latter having had a profound effect on how she sees and does things now. Dee is the creator of The Fast Class, a bespoke accelerated learning experience that helps women to get their business online in less time.